What an amazing day we had with Megan, Kurt and their friends and family! First of all, the weather could not have been nicer. 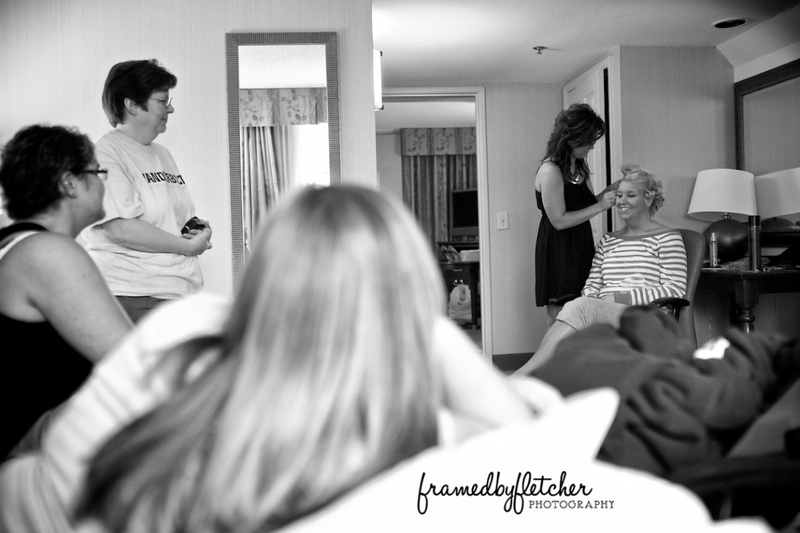 We began the day hanging out with Megan and her bridesmaids as they all got gorgeous. Then Jonathan took off to meet up with Kurt and his fellas. What happens in the guys getting ready room… usually stays in the guys getting ready room. We only get to see the photos. The ceremony took place at the amazing Scarritt Bennett Center. Megan looked stunning and the ceremony was very touching and beautiful. After Megan and Kurt were married, the real party began. Kurt arranged a trolley to take the wedding party on a tour of downtown Nashville, or Nashvegas. It was crazy fun!! The reception that followed was the perfect ending to what was a very memorable day. Beautiful pictures of a beautiful couple and a beautiful day! We love you Kurt and Megan! Such a beautiful ceremony! So glad I could be there to witness it all. Love you both! These are awesome pictures and this was a great day. Thanks for helping make it so perfect with the awesome pic’s. These are amazing! The bride is gorgeous! What a great memory! Amazing beautiful photos. A wonderful day we will all cherish. The pictures are absolutely amazing! There were so many that I liked! Congrats again to you both!! 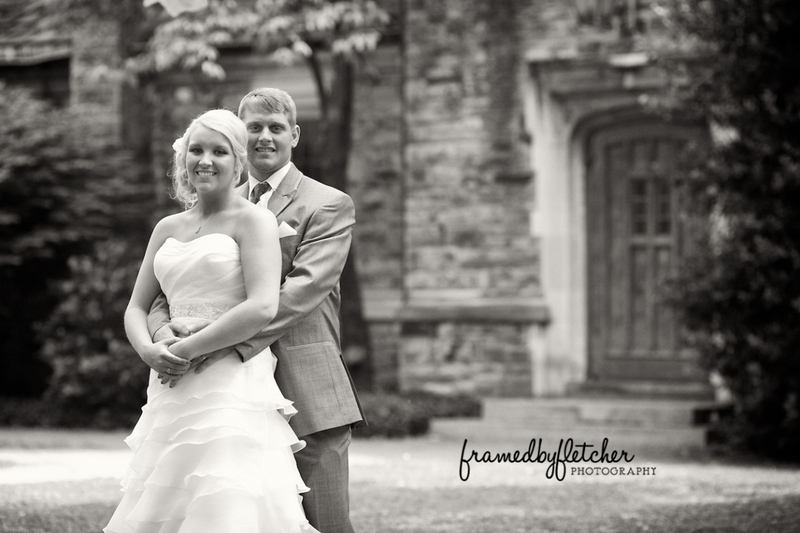 I LOVE LOVE LOVE the picture of you and Kurt in front of the Strothers Meeting house, and the picture of you and Luke!! Beautiful!! i abosolutely love all the picture we had a greeat day in creating all the pictures and all the good memorizes you did an amazing job. Thank you so much for spending such a wonderful day with us!!! You did an amazing job on capturing all the spechial and wonderful moments!!! All the pictures are Amazing!!!!! These are some of the best wedding photos I have seen in a long time. Definitely something to cherish for the rest of your lives. Congrats to Meg and Kurt! These are wonderful!!! Megan looked gorgeous and Kurt was handsome as ever. Welcome to the “married club” Mr. and Mrs. Braundmeier!!! Such beautiful and fun pictures! Congratulations you two!! I absolutely LOVE the pictures! You guys did an amazing job caputuring how awesome this wedding was! Looking at the pictures gave me goosebumps! You can definitely see how much fun everyone had through them! Amazing pictures! Absolutely amazing. What a beautiful couple! You did an awesome job at capturing everyone’s emotions felt like I was at the wedding! So much attention with every detail and it showed!! I love the pictures. I have never seen anything like them before. OMG what a beautiful job you did I love these pictures they are priceless!!! What a wonderful day we had and now we have all these beautiful pictures so we can re-live the day again and again. Thank you so much for capturing these unforgettable moments! !